A Sri Lankan man accused of murdering his girlfriend before fleeing to Australia on an asylum boat was released into the community on a bridging visa in 2012. The immigration department has confirmed it released an asylum seeker accused of murder into the community in September 2012. 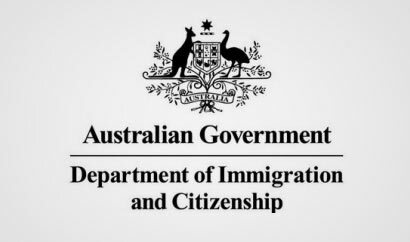 Immigration department secretary Martin Bowles, who appeared before a budget estimates hearing in Canberra on Monday, confirmed the man was granted a bridging visa in September last year. In April 2013, his visa was cancelled and the man was “re-detained”. Mr Bowles said an Egyptian asylum seeker who was the subject of an Interpol “red notice” had also been transferred from the Inverbrackie detention centre in the Adelaide Hills to Villawood in Sydney in April this year. Mr Bowles denied the department made the decision to move the man in reaction to a media report about him being an accused terrorist. “I can assure you we knew what was going on and we knew where the person was,” he said. Meanwhile, Mr Bowles said an Iranian asylum seeker wanted on drug trafficking charges had been moved to a mental health hospital. “He’s being treated for his illness – he’s quite ill,” Mr Bowles said. The man arrived on a boat in December and was transferred to Australia’s offshore processing centre on Nauru the following month.